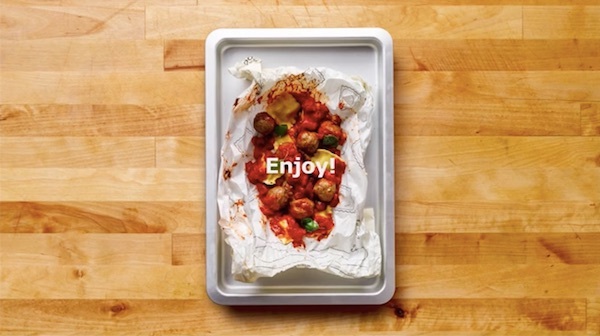 Swedish homeware giant IKEA is known not only for the creativity of its products, but also for its marketing. 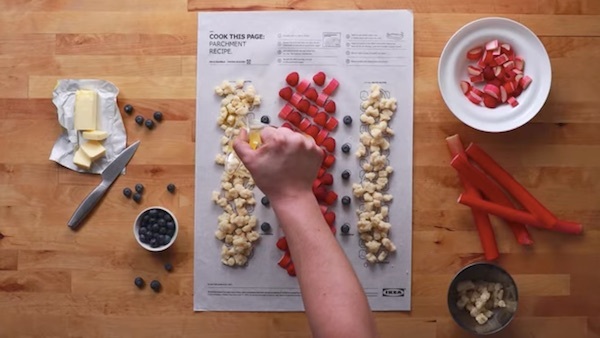 IKEA Canada recently worked with ad agency Leo Burnett, Toronto to demonstrate this. 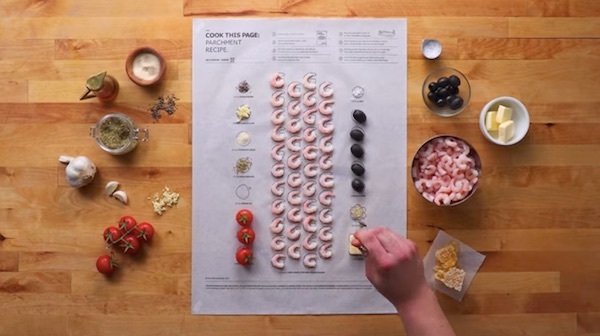 The campaign, titled ‘IKEA: Cook This Paper’, is designed to show people that “getting creative in the kitchen can be deliciously simple”—to do so, IKEA has created a series of brilliant recipe posters that are printed with food safe ink on parchment cooking paper. Each recipe poster features illustrations of the ingredients needed to make that particular meal. 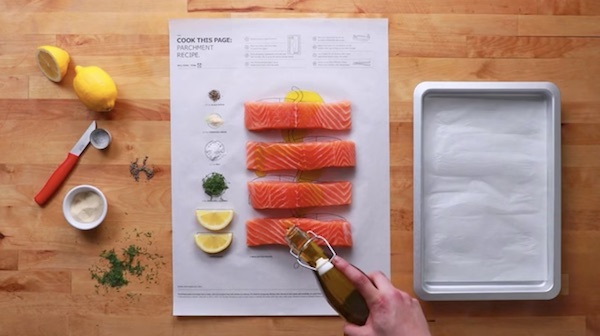 To prepare the dish, simply place the ingredients—including seasonings and sauces—over their drawings on the poster. 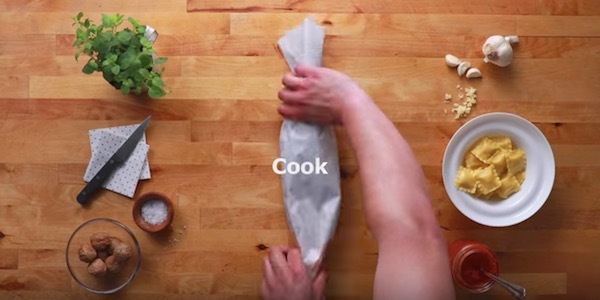 When the ingredients have all been neatly laid out, all you have to do is to roll them up in the parchment recipe poster, and cook the entire package. 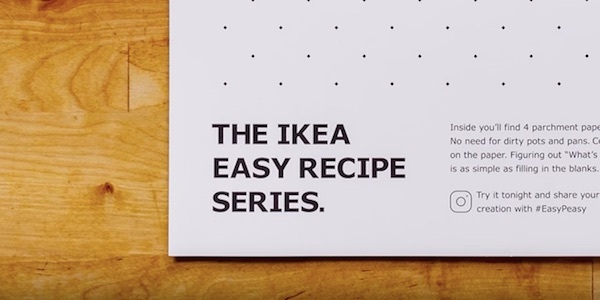 Needless to say, all of the ingredients and kitchen utensils used in these clever recipes can be purchased at IKEA. 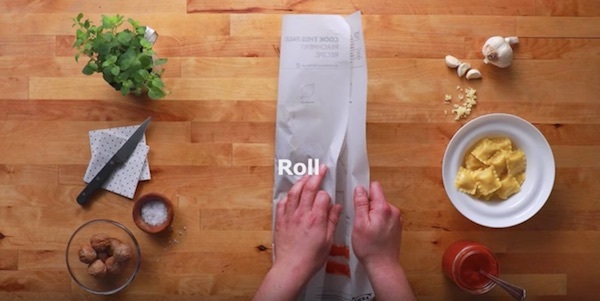 Watch the video below to find out how these brilliant IKEA recipe posters can help you make easy, tasty meals.